The CarrCom Blog: Nightmare - Filming begins! Today marks an important day for the world - okay, not that many people, but it's still a big day for me personally. 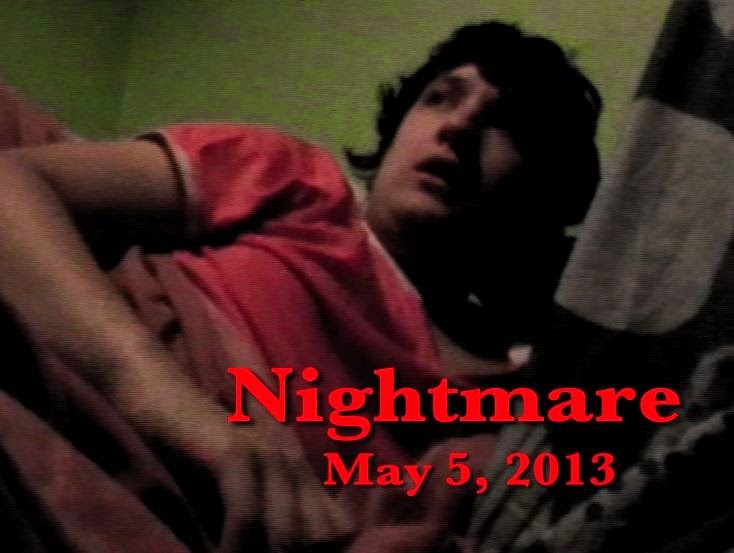 This is because Nightmare, CarrCom's fifth film due to for a 2013 release, is now being filmed! The opening scene was shot today at my grandad's house in Portswood, an area near my house, which is a very important setting in the film. Filming will go on until the start of next year due to our dedication to college and the need to travel a lot for filming locations, but I'm sure once it's all done it will be worth watching! It's being shot with the same camera that The Attic was shot with, so don't expect it to be HD, but it will likely be the last film of mine to be recorded with this camera as it is admittedly very outdated. I hope you all look forward to Nightmare and I'll be sure to keep you posted with upcoming news, trailers, clips and stills!